Details of The Royal Ballet’s 2017/18 Season have been announced. Follow Alice down the rabbit hole in Christopher Wheeldon’s exuberant ballet, inspired by Lewis Carroll’s much-loved book. As part of Kenneth MacMillan: a National Celebration, The Royal Ballet dances Wayne Eagling’s short ballet inspired by MacMillan’s re-creation of Nijinsky’s lost Debussy work. Dancers from the UK’s five leading ballet companies perform two of MacMillan’s sunniest works alongside a new production of his dark, classical fairytale, as part of Kenneth MacMillan: a National Celebration. The Royal Ballet and English National Ballet present two of Kenneth MacMillan’s most complex and important works, in the second programme of Kenneth MacMillan: a National Celebration. As part of Kenneth MacMillan: a National Celebration, Yorke Dance Project performs Kenneth MacMillan’s powerful short ballet inspired by Shakespeare’s Hamlet. Leading UK dance companies perform three ballets that show the range and versatility of MacMillan’s muse, in the third and final programme of Kenneth MacMillan: a National Celebration. Twyla Tharp and Arthur Pita create new works for The Royal Ballet, in a programme that includes the first revival of Hofesh Shechter’s 2015 work for the Company. Frederick Ashton’s delightful full-length classical ballet is a charming feast for the senses, set to Delibes’ marvellous score. A young girl’s enchanted present leads her on a wonderful Christmas adventure in this beautiful classical ballet, danced to Tchaikovsky’s magnificent score. The greatest of all Romantic ballets, Peter Wright’s production of Marius Petipa’s classic is a tale of betrayal, the supernatural and love that transcends death. Shakespeare’s tale of love and loss becomes compelling dance drama in Christopher Wheeldon’s ballet adaptation, with music by Joby Talbot. The Royal Ballet celebrates the centenary of Leonard Bernstein’s birth with an all-Bernstein programme from the Company’s three associate choreographers, Wayne McGregor, Liam Scarlett and Christopher Wheeldon. Kenneth MacMillan’s masterpiece of modern ballet is revived this Season as part of continuing celebrations of MacMillan’s profound impact on British ballet, to mark the 25th anniversary of his death. Characteristic works from three of The Royal Ballet’s Resident Choreographers – Wayne McGregor, Frederick Ashton and Kenneth MacMillan – display the diversity of The Royal Ballet and its virtuoso dancers. The Royal Ballet presents a new production of Tchaikovsky’s magnificent classical ballet, with additional choreography by Liam Scarlett and designs by John Macfarlane. This summer showcase offers a chance to see the depth and breadth of talent emerging from The Royal Ballet School. What are you most looking forward to in the 2017/18 Season? Let us know in the comments below or using the #ROH201718 hashtag on Twitter. Manon. Will it be screened to Vue cinemas please? We have just announced our Live Cinema Season for 2017/18, and yes Manon will be screened on the 3rd May 2018. Let me know if you have any issues! Very frustrated as the casting has not yet been announced. I am finding it impossible to plan my bookings for the season not knowing who is dancing. What a great programme we have in store for 2017/18. Delighted to see the return of firm favourites, Manon, Winter's Tale, Nutcracker. Also thrilled to see there will be new Liam Scarlett choreography of Swan Lake. Will be good to Sylvia and the return of Concerto. Looking forward to seeing many of these productions. Great to see Sylvia on the list but a shame to see so many returns - Alice, Giselle, Winter, Manon, Nutcracker - all done within the past three years or less. Royal has so much rep to pull from that's lesser seen - Bayadere, Coppelia, Cinderella, the list goes on. When will we see some of these? I totally agree. I'm 78, so my ballet-going years and taking classes (for enjoyment) were the 1960s and 1970s, and I LONG to see the ballets done in those yrs. What about the wonderful Month in the Country? And why do the BBC keep under wraps, and never show it? Along with Concerto, Elite Syncopations, which I am so delighted to see will be shown 2017/18. Plus I want Monotones, the ONLY modern ballet I love. I hate all other modern ballets and am devastated that triple mixed bills ALWAYS include modern. I've only just today known about this site, and have swiftly booked my cinema seat for the truly wonderful Symphonic Variations. But why is Monotones never shown? Glad to hear you like Ashton's Monotones. You can see an excerpt of the ballet here. Some good ones - Alice, Judas Tree, Song of the Earth, Sylvia, Giselle and new Swan Lake. Sad not to see more Balanchine in there, been longing for Symphony in C, also was hoping for the revival of Don Quixote and La Bayadere - maybe next year. Sounds really good. Am delighted about national and regional companies coming together. Any chance we could alternate Cinderella with Nutcracker next year? I do miss the Ashton ballet. Hope they record all the Macmillan and release them. Did I see Elite Syncopations on the bill? Oh yes...... there.....and there....and THERE? Oh! At least we have Manon back. Hahaha, Graeme! (My thoughts exactly). Do you know if Elite Syncopations will be back in cinemas? Nutcracker again!!! Isn't is about time we have a different ballet at Christmas - Ashton's Cinderella hasn't been revived for ages and is long overdue. 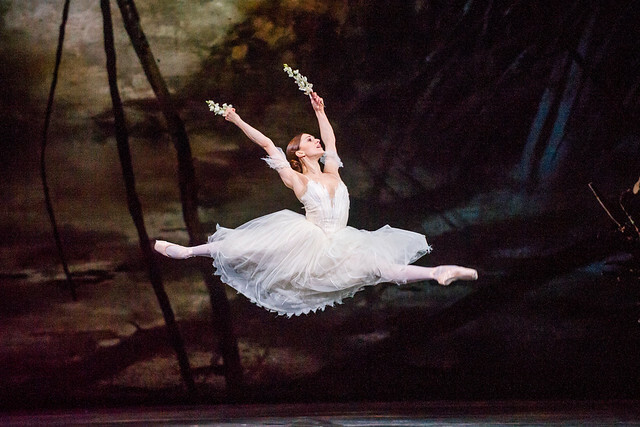 Also Giselle was only last on in 2015 and as has been stated above there are many more ballets in the rep that haven't been seen for a while - La Bayadere, Onegin, Don Quixote for starters. Good to see Manon though and the other MacMillan ballets - shame there can't be more performances of them though. Good varied programme. Looking forward to seeing the new version of Swan Lake and always love seeing Giselle. Manon too is a good choice, I haven't seen this for years so looking forward to that too. Plus some new ballets as well. Looks like a good season ahead and plenty of variation in the cinema screenings too. Living in Northumberland I don't get down to London for live performances very often - I would like to get down for more - so to see them in my local cinema is a bonus. Keep up the good work. I like your election. Very good programme. I was so hoping for Onegin! Giselle has always been a favourite of mine but it has been on several times lately. Still there are other favourites of mine to choose from. Would have preferred to have seen Sylvia on the cinema screen as opposed to The Nutcracker again. Ah, the Nutcracker - AGAIN. How original. Odd to see Twyla Tharp on the list, since Mr Worldly Wise was such a disappointment. RB doesn't have a great track record of commissioning new work from outside choreographers. The revival I would love to see is Dances at a Gathering- such a beautiful work. I suppose it's unrealistic to hope Alexander Campbell dances in ALL of them...but he IS my favorite ! You have made my day - I have been patiently waiting for Manon. And great to see so much being live broadcast for those of us who don't live in London and can't get to Covent Garden too often. Great to see favourites back and to finally see Sylvia, Elite Syncopations, The Judas tree but disappointed not to see in the list The Prince of the Pagodas, Winter dreams and Enigma Variations. Hopefully next season. Great programme! I would love to see Cinderella at Christmas one year instead of Nutcracker. Also would like to see La Bayadere and Coppelia. Looking forward to seeing Giselle and Swan Lake though!! Hugely disappointing for me. I was hoping for at least one of Bayadere, Onegin, 2 Pigeons and Les Patineurs but nothing. Anything I go and see will be for the cast rather than the ballet. I love Giselle but it has been performed and screened several times lately. Have no interest in Alice and Winters Tale. Also the mixed bills are very disappointing; why no Ashton triple or double? Why Marguerite and Armand again when there are so many Ashton short ballets hardly ever seen? Why do triple bills always seem to be predominantly modern these days? What happened to the ballet Russes triple bills; more classical ones like les Sylphides, Graduation Ball, Month in the Country, Enigma Variations? It would be good to have 1 traditional triple at least. Also none of the Macmillan tributes are performed at the weekend and no matinees making attending difficult for those of us living 200 miles from London. Even the cinema broadcasts are disappointing. Why is Sylvia not being broadcast when it is years since it was broadcast yet Winters Tale is when it was broadcast far more recently? Looks like 2017/18 will be a cheap year at the ROH for me. tried finding what ROB will be showing Christmas. I heartily agree with you. Again Nutcracker or Winter's Tale or Alice? So many good old ballets just waiting. Why, oh why can't they be shown? Very excited to see the new Twyla Tharp work, the new Swan Lake and the MacMillan celebration. Also delighted that we'll have new works from Pita, Wheeldon and McGregor , and that Sylvia and Alice's Adventures are back. Am also pleased that the MacMillan celebration will have participation from Yorke Dance Project, Northern Ballet and Scottish Dance as well as BRB and ENB. 1) Jeux was very enjoyable when I saw it, but it's a short ballet. Is it going to be performed with something else? It's a long way for audiences to come in to Covent Garden just to see a short one-act ballet, no matter how brilliant it is. 2) The MacMillan tribute is great, but could we not have had more works in the list rather than simply a new revival of Sea of Troubles and Le Baiser de la fee? Everything else has been performed at Covent Garden recently. Instead of repeating Judas Tree and Elite Syncopations in 2 different bills, how about Solitaire (which is in BRB's rep but not seen in London for over a decade - possibly two, I believe) or Different Drummer? Not to mention Daphnis & Chloe,Ballet Imperial,La Fete Etrange or (maybe when hell freezes over) Lieberslieder Walzer? So excited for Sylvia and Concerto, they are two of my favourite ballets! Manon, Giselle and Winter's Tale have been seen recently, but I still love them. Maybe Cinderella and La Bayadere next year? An excellent and varied programme to come, which looks exciting. Delighted to see Swan Lake back on the agenda once again, which has been sorely missed. Particularly impressed to see other companies invited to take part in some of the performances'''. Yet again no Coppelia, no Firebird. And I'm not impressed with the mixed bills. As someone who lives outside the UK and is limited to cinema broadcasts only, I am hugely disappointed to see that you keep broadcasting the same ballets over and over again. The Nutcracker (good grief), Manon, Alice, Winter's Tale have all been broadcast at least twice in the last 3-4 years, how ever great they may be. Thank heavens for that Tripple Bill. I am so sad for missing Sylvia and Macmillan Celebration, as well as Pita and Tharp (but that was to be expected). This is a huge underestimation of your audiences, or maybe not, who knows. People *are* mostly sheep, forever cheering for their Nutcrackers, Swan Lakes and Giselles, season in, season out. The same goes for the season in general, and I mostly agree with ML above. Sadly, you will never please everyone, Kevin what ever you plan. A great variety of shows which surely must have something for everyone, although reading some comments I do wonder! We will come to everything except Nutcracker and not ALL the Elites! Could you please do a screening at cinema in Greece too for ballet-dancing productions?We would LOVE to see Mannon and all the others but for the moment there are only 2 operas at the Mall cinema in Athens Greece.We LOVE your dancing productions and we very much miss them!!!! Our international listings for next season are not up on our website yet. Please check our cinema page for more details as they are updated. I read the book-'Different Drummer' - will now get a chance to see the likes of Concerto, Elite Syncopation, and Gloria... Maybe not source MacMillan but inspiring and reinforcing ballet heritage. Just hope that any modernisation does not leave us with the banal. Goodness - why are people moaning? I think it looks like a wonderful programme. And to the person who said they weren't interested in Winter's Tale - do give it a try. It is a fabulous ballet! I am looking forward to all the live screenings - and hope to see one or two at the Opera House as well. Thank you! So glad to see a revival of Scarlett's "Age of Anxiety' which I so much enjoyed at its premiere. It will be good to see Sylvia live rather than my warn out DVD. I have returned to enjoying ballet after many years, and have come to the ROH a lot in the past 3 years - so I am surprised to see so many ballets coming round again, so soon. Certainly there are new works to be enjoyed but long to see others - eg. the 3 Arthur Bliss ballets - Checkmate, Miracle in the Gorbals and Adam Zero (a score Bliss thought his best). Cinderella would be a nice change from Nutcracker. Also love to see RB dance Enigma Variations! Pleased to see Manon back. Would love to see Firebird or Rite of Spring very rarely if ever performed. Also, the Two Pigeons, all 3 seen very many years ago. Wonderful to have them beamed to the Curzon cinemas. I totally agree with so many comments re the over-performed ballets - Swan Lake, Giselle, the ever-eternal and now boring Nutcracker. I want far more of Ashtons short classical ballets and SO pleased to see Concerto and Elite Syncopations will be shown - at the cinema PLEASE. And I want the gorgeous Month in the Country, Bayadere, tho the temple dances are boring, it's that "not a wobble in sight" as Madame once said, of the so beautiful extended lines of dancers criss crossing the ramp which I want. And Monotones, the ONLY modern ballet I love. I hate all other modern ones. Dances at a Gathering, Brahm's Waltzes and many more short ones. Why or why doesn't the ROH DEMAND the BBC show these ballets again? Why oh why do they "sit"on them? see and oh, Tchaikovsky music, long pale blue dresses...is it Serenade....? I could go on, but it's all the old ballets I want to see. Not interested in new ones, I'm too old! Hi, I have waiting for Carmen or the Barber of Seville, but months & years are going by & nothing. Please give some indication if with of these will be performed in 2018? Why won't you give us the casting of your Royal Ballet screenings. Surely you know the performance dates in advance. Due to the physical nature of the art form, casts for ballet productions are confirmed closer to performance than is the case for opera. Casting for productions will be available soon. Swan Lake gives us a perfect reason to visit again (from Australia). The last time was in 2015 "Triple Bill" and before that Leanne Benjamin in "Romeo and Juliet". After seeing Jewels at the cinema I long to see it at the Opera House. Any plans to include it in the future? I hope to see Sylvia. Glad you enjoy the cinema screenings. There are, at present, no performances of Jewels scheduled. I have to agree with all those pleading for a break from Nutcracker next Christmas. I would love to see a revival of Cinderella or Coppelia. Or that once favourite Christmas double: Les Patineurs & Beatrix Potter. Macmillan Triple Bill last night was fantastic - thank you. You do not publish on this site your response to the many pleas for a rest from Nutcracker in favour of Cinderella, Les Patineurs, Coppelia etc. Is there a good reason for disappointing so many devotees? Can we be told what it is? When will the ballet programme for July-August 2018 be announced? Thanks for your query. Any performances or residencies for Summer 2018 will be announced in due course once confirmed. My question is, with the Australian screenings which are now at Village (shudder) cinemas, I can find listings for Alice (Nov 25-26-29), Nutcracker (Dec 16-17-20), Manon (June 2018) and Swan Lake (July 2018), but they appear NOT to be screening Winter's Tale AT ALL! Can you explain this, please? when will tickets go on sale for swan lake? And what are the prices likely to be? Great looking season! I love Giselle, and so excited that swan lake will be done on a live screening for the cinema as well. General Booking for Swan Lake opens on 4 April and we'll release pricing details nearer the time. Hope you can join us! I'd love to see John Neumeier's La Dame Aux Camelias. I saw a production at the Paris opera house about 10 years ago and thought it was incredible.. score by Chopin and more moving than Manon in my opinion. Thanks for your comment - casting will be confirmed and announced very soon. The Raven was the best 'new' ballet I've seen in years. Would so love to see it again, the styling was breathtaking. I am planning to visit London in august 2018 and would like to know when the schedule for 2018/2019 season will be available. Thank you. We'll be announcing our 2018/19 Season in due course - watch this space! It is with regret i could not travel to the ROH to see Song of the Earth last year. Having only come to appreciating ballet in the last ten years i have seen all the classics with the exception of La Bayadere. There is a thread running thorugh this comments section for its return. Perhaps 2018/19 will be the year? PleSe do not take notice of these bored meanest. PleSe keep the wonderful Nutcracker at Christmas. It may not be new to your old patrons but it will be new for my grandchildren. Also Swan Lake - please keep ad the most beautiful and satisfying of all Ballets. Re the large number of complainants about the recurrence of Nutcracker. My Wife, children and I all absolutely love this exquisite production of what is THE perennial Christmas ballet - a firm family favourite. We will undoubtedly be buying tickets to it again in 2018 - please keep it coming! When will the dates and casting be released for the Nutcracker production in Winter 2018/19? And when will tickets go on general sale? I agree, this program is very disappointing. Massive lack of imagination going on here. Please keep the Nutcracker as it is always my grandsons favourite Christmas treat and all my family love it! When will the cast for Swan Lake in Madrid will be announced? I would like to see Marianela and haven't bought the tickets because I do not know the date. Casting will be announced soon - watch this space. Last year I saw The Bolshoi in August at the Opera house.Will there be any productions this August.& if so can I book tickets from your site? 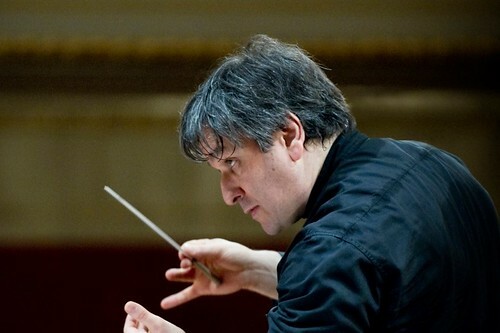 He will be the longest serving Music Director in the Royal Opera House’s history by the end of 2018/19.